Patient documentation and other reports must be done. It’s a fact of life in behavioral health if you want to receive payment and comply with mandates. Let Sano make it easy and natural for your clinical staff to complete those tasks while helping you optimize group rosters, identify and manage revenue trends and keep your agency running smoothly. And, it’s not one-size-fits-all — customize Sano to meet your specific needs. Making key processes for treatment and billing integral to Sano’s design takes away many of the hassles of managing your agency. Learn how charts get completed faster, counselors can be more productive, and electronic bills are a natural outcome. The Menon® Sano™ Electronic Health Record system supports you in a variety of management tasks, including reviewing and co-signing documentation, managing chart completion, optimizing productivity, customizing forms to suit your agency and case mix, overseeing and proactively managing compliance, identifying new revenue opportunities, and billing across multiple locations and treatment environments. If you have unique needs, no problem. Sano can be tailored as you need it. 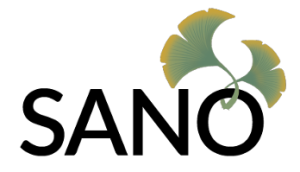 Learn more about how Sano helps counselors, front desk and billing staff as well.